Editor's Note: The recent spate of racially-motivated attacks against Indians in the US has raised several troubling questions. The principal among these produced by heightened xenophobia; go back to your country. Firstpost set out to interrogate the messy, complex and dislocated experience of being Indian in America; is this my country? The series that resulted, Homeland, is a compendium of interviews, analyses and opinion pieces. In this, the eleventh and final part of the series, read what it feels like to become and 'Indian-American'. In August 1994, my father strapped some pillows and suitcases to the roof of a Honda Civic, with wife and daughter in passenger and back seat. My father had come from Madras (now Chennai), a dusty old south Indian port city by way of the sea. He still has his Captain’s epaulets tucked away in a strongbox with diploma, naturalisation papers, and house deed. Three scraps of paper for which my family toiled. 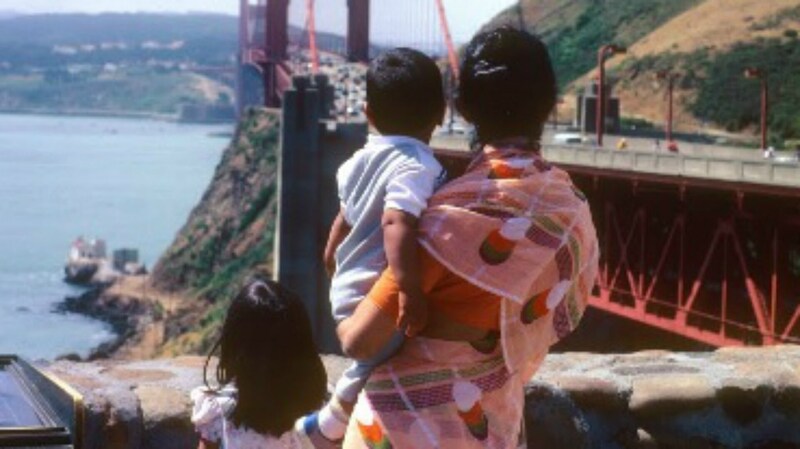 My parents’ journey from Indian cities to Connecticut suburbs is a story of immigrant success. It could be lumped into larger statistics – 2.81 million Indian-Americans, and a majority-minority country to come. Eating daal while watching Seinfeld. Sarees hidden beneath winter coats. This is one of the millions of stories of immigrants to this country, heaping and fossilising with time. Dig down and you will see. 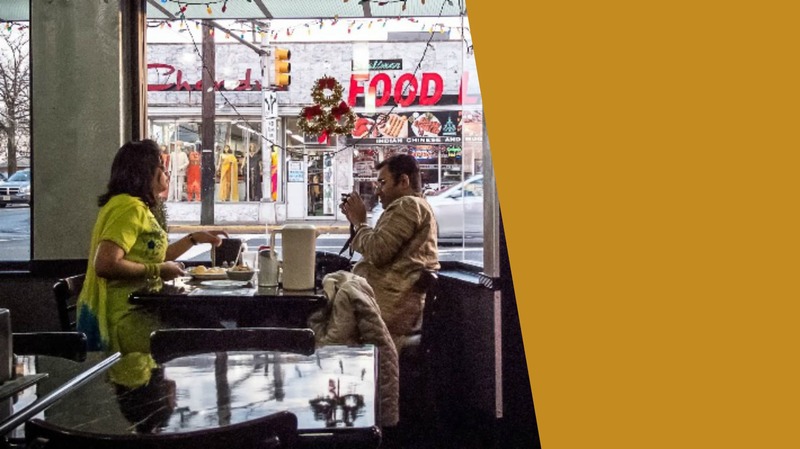 Initially, we launched this series to write about the Indian-American diaspora in the wake of the hatred and bigotry South Asians have faced in recent years. I have learned more, however, about the spaces that people create together to resist and to find solace in one another. We do not don our identities like layers of clothing, shrugged on and off like sweaters. No. They are stitched and smashed and scarred and knitted into our skin. Our stories are infinitely complex. My sister and I and the many people I spoke to for this series are enmeshed here. My heritage is a shadow behind and a flame within me. I have lived in neighborhoods with brass and wedding processions, with public celebration and mourning and the faint waft of jasmine on the air. When I close my eyes, I am teleported to another place, across the world, and to another time, perhaps childhood. I have lived above a beauty shop that weaves Indian hair onto the scalps of the women who enter it. The hair had been tonsured in reverence in a temple. That same hair is covered on Sundays by dignified hats in the congregations of Harlem. I grew up with a few Indian friends. Their parents were often afraid that these friends of mine would lose their culture, or worse, willingly turn away from it. Sometimes the culture was forced down their throats in response. But turning away from culture in foolish youth does not mean that we don’t find our way back. In speaking to people, I have found that culture is something we choose to keep because it connects us to our communities. It is not necessary to enforce this sort of preservation because it is natural for us to seek it out when we are ready to accept it. I have learned that any discomfort I had with being Indian was externally motivated. Sometimes, I think of our position as those of astronauts, tenuously tethered to the spaceship. We need these lifelines to remember who we are, where we come from, and where we might be going. We make judgment calls about what to keep, but that is because we do not take these decisions for granted. We seek to derive meaning from the memories, foods, and festivals we keep. I think about lighting sparklers at a Diwali party on the back porch of my parents’ house in Connecticut, the smokiness of the autumn air, the stars in our eyes, the warmth from the sparklers. On college campuses, I have seen young people of all stripes and shades walking home, giddy, covered in color after the university’s Holi celebrations. I think about the many meals I’ve made for American friends, the comfort I feel in sharing and feeding and explaining myself, maybe not with words. For all the hate there is in the world, there are many people who seek to understand and connect with other people. Over the course of the series, I have learned some things about the Indian community in the U.S. I have read stories of undocumented South Asian immigrants, those who live in fear and are subject to constant humiliation for attempting to make better lives for themselves and their families. I have spoken to artists and organisers who understand that giving and sharing and forging is more important than taking. I have read about our brief and troubling histories in this land of opportunity. I have learned that our position is tenuous, that the facade of generosity cracks at points, like when a young man in a turban is jumped and called a terrorist or when a group is formed to put our women’s bindis in their crosshairs. These were things my body and my intuition had always known. But to name injustice is to face it. I have learned that boundaries are ready to be dissolved, that walls can always be taken down. This I think I always knew. I spent a childhood knocking on a door, asking for a welcome and an embrace and my family had to do for a long time. But my life and my world feels open in a way it hadn’t before. These are histories that are separated from you by oceans. By time-zones. You are drinking your morning coffee as I sip my nightcap. It took two planes to get here. These stories are the newly introduced direct flight from JFK to Mumbai.